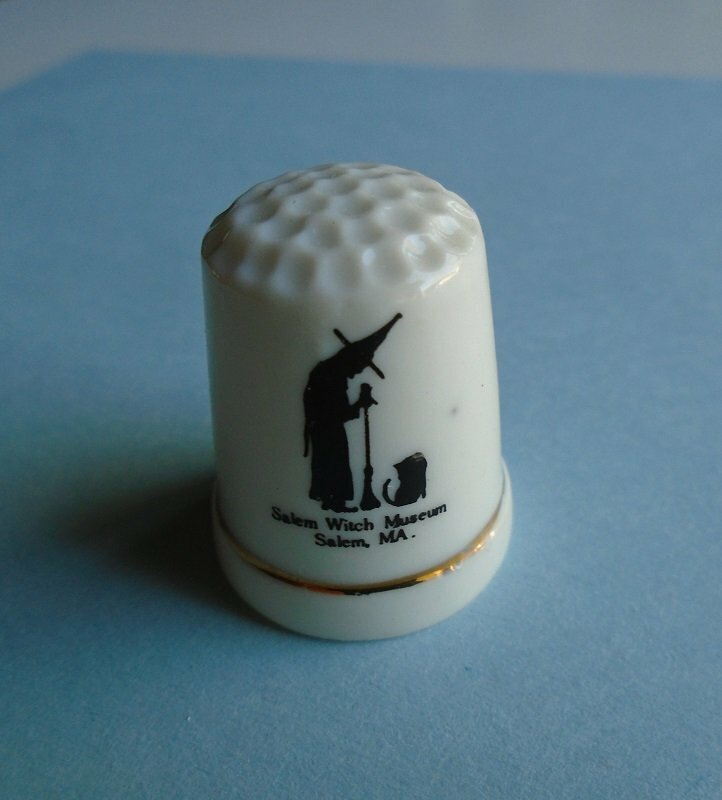 Porcelain china thimble from Salem Witch Museum in Salem Massachusetts. White w/ gold trim. 1-1/8 inch tall. Unknown age purchased at an estate sale. Souvenir thimble from the Salem Witch Museum in Salem Massachusetts. Porcelain with gold colored trim. 1-1/8 inches tall. Unknown age, purchased at an estate sale. There is a very tiny black dot just to the right of the witch (in my photo). Porcelain china thimble from Hampton Beach New Hampshire. White with gold trim. 1.25 inches tall. Unknown age, purchased at an estate sale.